Myths, religions and archeological discoveries around the world discuss the presence of intelligent non-human beings who have interbred with humans creating hybrids. Tanis Helliwell offers convincing evidence about the existence of 22 different human-hybrids (elementals, angels, dolphins, giants, dragons, centaurs, pan and many others). People who discover they are hybrids report feeling more authentically themselves—more energized, powerful and self-loving—as a result of their discovery. 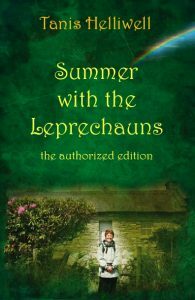 As with her ground-breaking work on elementals in the classic Summer with the Leprechauns, Tanis is, with Hybrids, once again at the forefront of an entire new genre of investigation. Make a difference in your life, work and world! Manifest Your Soul’s Purpose assists you to live your highest potential. 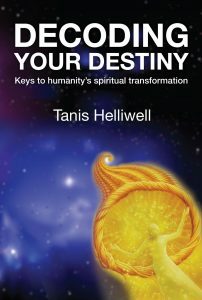 Tanis Helliwell guides you in seeing how to apply spiritual truths in your everyday life. This book helps to develop your SQ-Spiritual Intelligence. Reprogram Yourself for Success. Increase Your Life Energy. Master the Material World. Cultivate People who Feed Your Soul. Live in Harmony with Natural Cycles. Activate Your Intuition. Walk the Path of Heart. 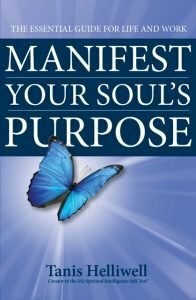 Manifest Your Soul’s Purpose: The essential guide for life and work will assist you to balance your life by discovering and acting upon your soul’s needs and by finding more meaning in your work. Fulfill your spiritual destiny and become a conscious creator! Decoding Your Destiny is a road map for humanity. This book contains what you need to prepare for the transformation of the world as we know it and to embrace the new reality. Where have we come from? Where are we now? Where are we going? These eternal questions are answered in this groundbreaking book. An encyclopaedia of the unseen world and how it affects you in the 21st century. This guidebook for spiritual transformation has exercises you can apply in your life right now. It’s all here. The wisdom of the inner mystery schools, the beings that are influencing humanity in its evolution and our ultimate purpose are presented in an easily understood and accessible manner. This book by Tanis Helliwell is a romp to the sacred sites of Ireland accompanied by a leprechaun who is helping Tanis and her thirty fellow pilgrims face their blind spots. They have a topsy-turvy encounter with the mischievous, wise humour that the Irish call “The Craic.” “The Craic cannot be pinned down and, when you try to do so, it joggles you out of your comfort zone and laughs at you. It is both the great cosmic joke and cosmic joker. The Craic is magic. The Craic comes, whenever it wants, and does, whatever it can, to move us into deeper knowing and truth. The only approach a sane person can take towards the Craic is to surrender to it, as any resistance is futile.” (from the Preface.) In addition to being an amusing story, Helliwell’s book is chock fun of information about nature spirits or elementals, as they like to call themselves. The trolls, elves, goblins, and brownies are as real for the reader as the various humans whom they partner. 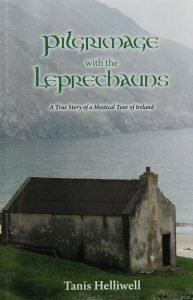 For anyone planning a trip to the sacred sites of Ireland, or to Ireland itself for that matter, this book abounds in nuggets as precious as the pot of gold that the Leprechaun holds at the end of the rainbow. Tanis Helliwell’s poetry evokes the mystery of spirit in its beautiful forms—be it lovers, beloved friends, nature, or God. A term sometimes used to describe this kind of poetry is ‘sacred poetry’ because it contains teaching lessons that assist us in our spiritual transformation. Reminiscent of the witty and intimate teachings of Hafiz and Rumi and the celebration of love and life found in the words of Pablo Neruda and Mary Oliver, Embraced by Love urges us to wake up and love in all the forms that love takes. Each poem breathes life into our heart, soul and mind and calls us to open closed doors and embrace all life – beautiful just as it is. “Tanis Helliwell’s poems are pearls distilled from over twenty-five years of her journey of heart and spirit. Each nugget is naked and true and worthy of contemplation. … Ann Mortifee, singer-composer, recipient of The Order of Canada. “Embraced by Love is the work of a tender heart committed to the deeper journey. Beautiful.”… Paul Horn, legendary flutist-composer of Inside the Taj Mahal.